In Less, importing is used to import the content of the Less or CSS files. 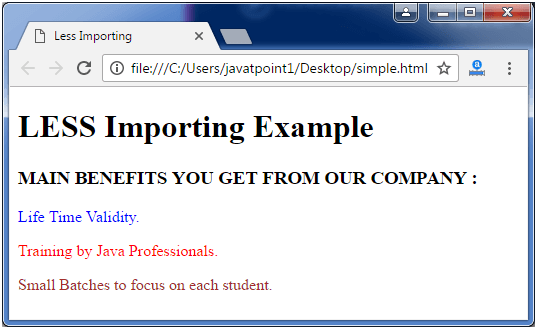 @import statements may be treated differently by Less depending on the file extension. Let's take an example to demonstrate how to use importing in a Less file. Small Batches to focus on each student. Next, create an external file named "myfile.less" that you want to import. 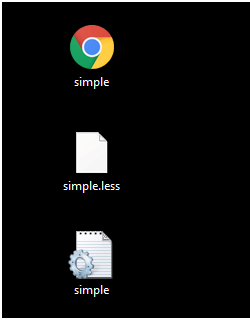 Now create a Less file named "simple.less", having the importing path.